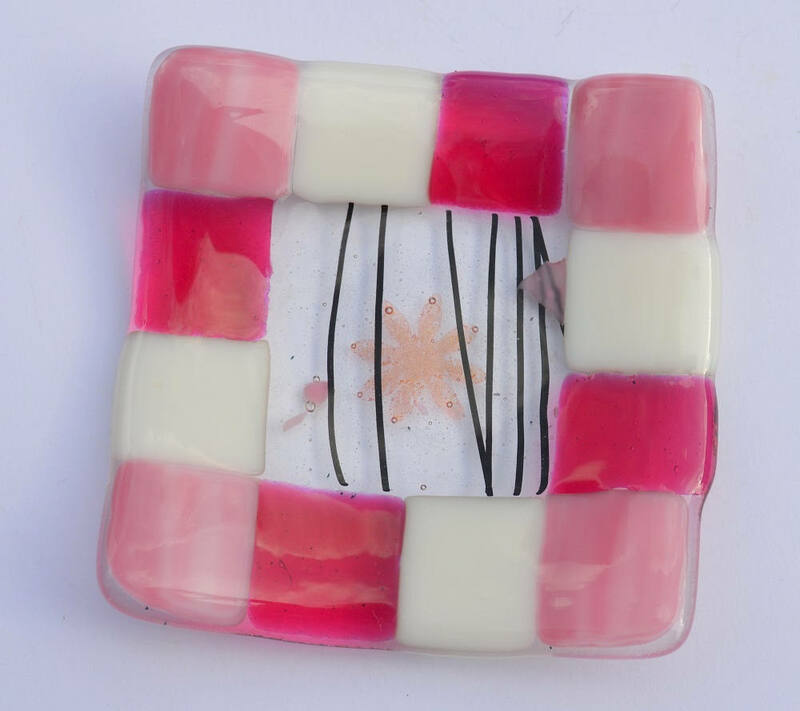 Square fused glass dish measuring approx 10cm square. 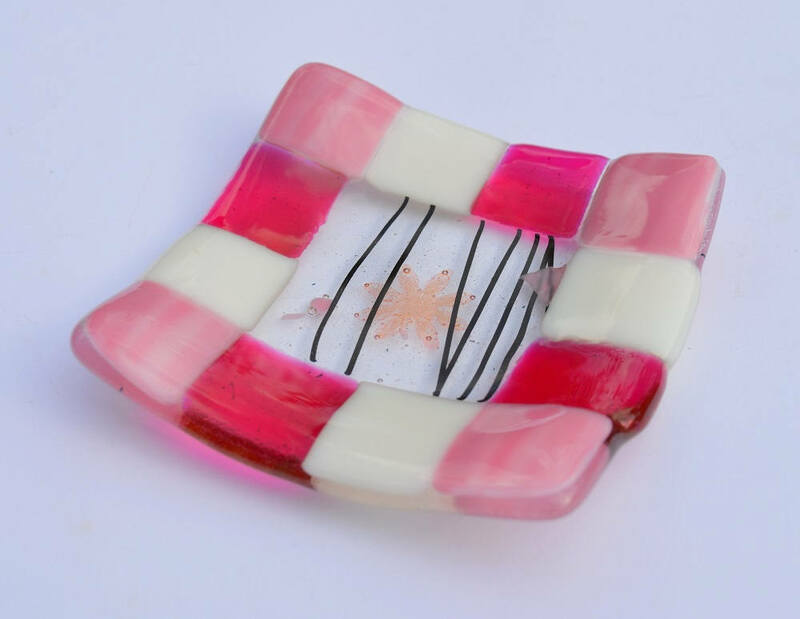 Transparent pink, white and swirly pastel pink glass pieces surround the floral focal point of this very pretty dish. The bowl is slightly curved at the edges. 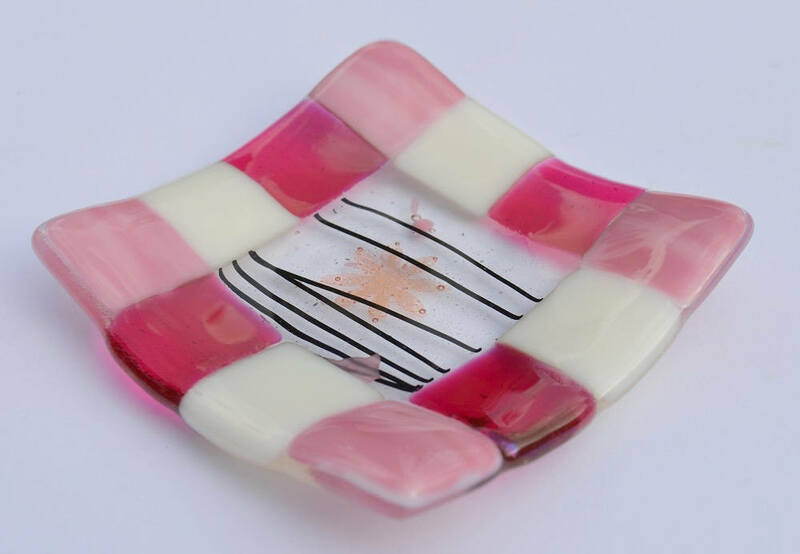 Making a beautiful tea light holder, trinket, soap or display item and is food and dishwasher safe. Will arrive wrapped and tied in my hand stamped paper. 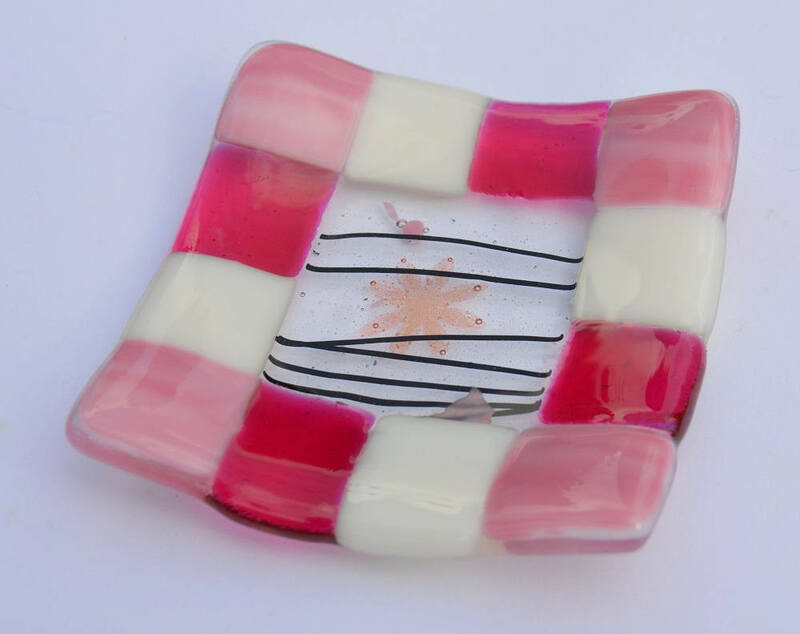 This is a one off made in my small studio in Bristol in the UK.